Life is made up of unique experiences that shape and inspire us. Now, you can keep those memories close to you always. With Charm Factory, you can build a stunning piece of jewelry that will always hold a special place in your heart. 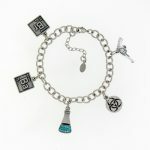 Building a silver tone charm bracelet is easy with Charm Factory! 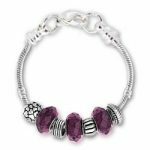 Our online jewelry storehas a full range of bracelets to choose from, including European-style, clasp bracelets, toggle bracelets, and cuff bracelets. You can select your size by measuring your wrist. 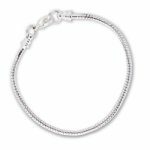 Or, if you are unsure of what size to get, you may want to select a clasp silver bracelet, since they are easily adjustable. Standard bracelet length is 7-8 inches. On our website, you can browse our selection of nearly 5,000 silver tone charms and select your favorites! We have silver tone alternatives to almost all of our silver sterling charms. 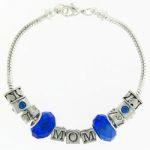 Many of our customers choose charms that match their personality and life experiences. Do you love to cook? Add a culinary charm! Love your job? Check out our selection of charms for professions. 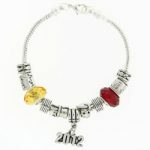 We even have charms inspired by popular movies and books, like The Hunger Games and Twilight! 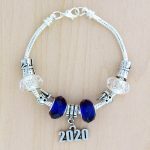 On our build-a-bracelet page, you can arrange your charms in the way you want them to appear on your wrist. We recommend six to eight charms to start. After you’ve finished customizing your new charm bracelet, just click to submit and your order will be processed as soon as possible! We will assemble your bracelet and send it via your preferred shipping method. 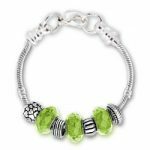 At Charm Factory, our silver tone jewelry is 100% genuine pewter, lead and nickel free. Every silver tone charm comes with a free jump ring (the ring used to attach the charms to your silver bracelet) and is made in the USA. 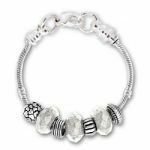 Get Started on Your Silver Tone Charm Bracelet Today! 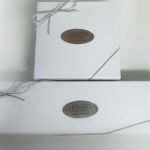 Whether you need the perfect gift for your mother-in-law or want to show your sorority sisters that you care, Charm Factory can help you design and build unique and inspiring jewelry. Share and inspire with bracelets with charms as unique as you! 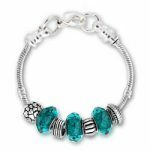 Browse our online selection and order today from Charm Factory!